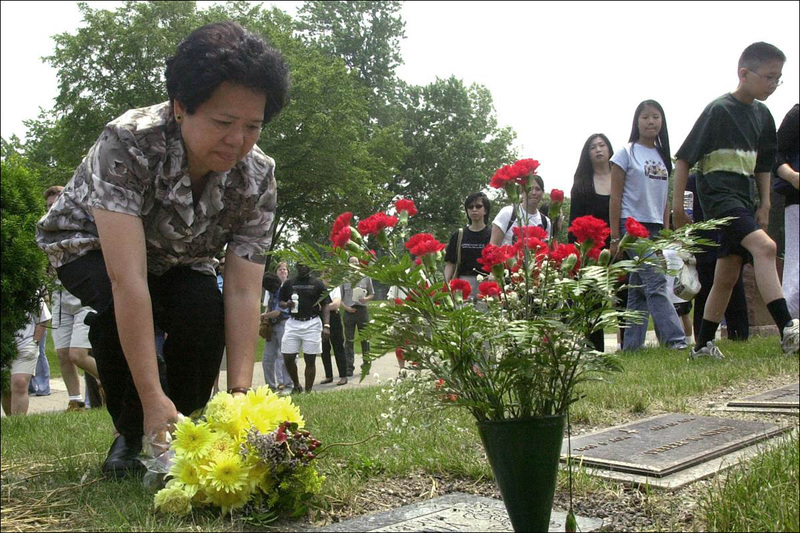 Man Charged With Vincent Chin's Death Seeks Lien Removed, Still Owes Millions: For years, the estate of Vincent Chin has been seeking payment in a wrongful death claim against Ronald Ebens, the man responsible for the fatal beating of Chin. Now Ebens, 70, wants the lien the Chin family's representatives have placed on his residence in Nevada removed, despite still owing the estate more than $8 million. Sikhs Feel Vulnerable Amid Anti-Muslim Backlash: Across the U.S., Sikhs and Muslims are banding together to defend their respective religions. Someone bent on harming Muslims wouldn't understand -- or care -- about the distinction between the two faiths, they say, and both also deserve to live in peace. Muslims are to Trump as the Chinese were to President Arthur in 1882: The Chinese Exclusion Act is the closest cousin to what Republican presidential candidate Donald Trump proposed Monday when he called for a "total and complete shutdown" of Muslims entering the United States. Long before anxiety about Muslims, Americans feared the 'yellow peril' of Chinese immigration: Donald Trump's proposal to ban an entire class of people from entering the United States is not without precedent. Doris Matsui, Congresswoman Born in Internment Camp, Responds to Trump: First the mayor of Roanoke, then Donald Trump… Congressmember Doris Matsui, who was born in an Internment camp, speaks out about her experience in a move to advocate for Muslim Americans. 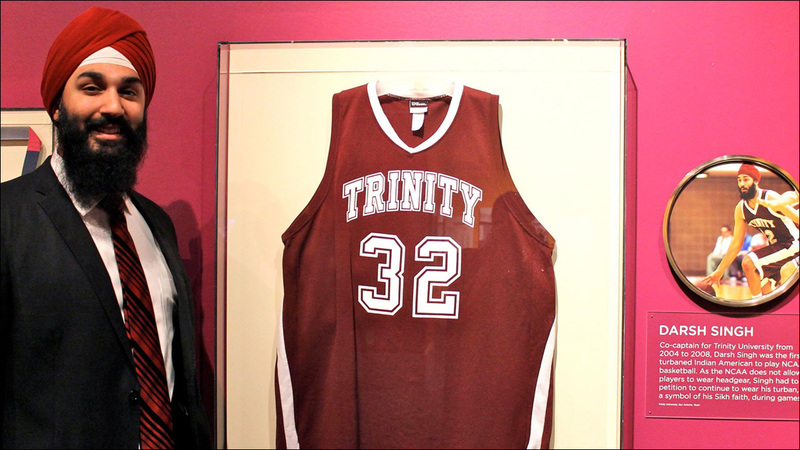 After This Sikh Guy Became Part Of A Racist Meme, The Internet Helped Turn Him Into A Hero: Everyone wants to #BeLikeDarsh Singh, the NCAA's first turbaned Sikh basketball player and former co-captain of Trinity University. This Is How #MuslimAmericanFaces Went Viral: To help clear the hazy fog around Muslim-American life, on Wednesday morning, Benjamin Wittes launched the Twitter hashtag #MuslimAmericanFaces, asking people to tweet photos of three Muslims they know, putting real faces to a community that's under fire. Muslim Detained on a Flight: I'm Your Biggest Ally: Dr. Bilal Rana, president of the Ahmadiyya Muslim Community USA's Youth Association, boarded a plane from Newark to Houston the day after the Paris attacks... and was treated like an enemy. My run-in with hate speech at a Minnesota Vikings game: When Deepinder Mayell went to a Minnesota Vikings game, the then-Boston College undergrad had a deeply unsettling racist encounter. San Bernardino victim's funeral: Tin Nguyen 'belongs to heaven now': On Saturday, hundreds of people gathered to say farewell to Tin Nguyen, one of 14 people killed in the San Bernardino massacre. 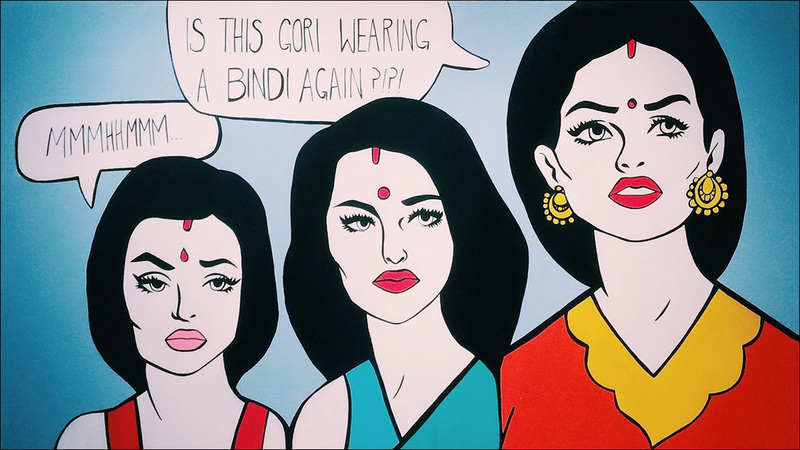 The Desi Instagram artist tackling cultural appropriation: Maria Qamar's satirical art paints a harsh, and hilarious, reality of Asian culture -- and it isn't all bindi-wearing bliss. Why affirmative action matters in the larger social and racial justice movement: An Asian American perspective: Do all Asian Americans and Pacific Islanders oppose affirmative action? Don't believe the model minority myth -- many APIs support measures for equity and inclusion. Why diversity made a difference for me in college: Diversity played a vital role in Jin Hee Lee's college experience, which is why affirmative action is so important to the admissions process. Lack of Asian-American foster parents leads to new outreach: Seeking to make life less traumatic for foster children that are of Asian descent, Los Angeles County is stepping up recruitment of Asian American foster parents, with help from service groups that serve Chinese, Korean and Khmer-speaking communities. Asking For Help In A System That Doesn't Speak Your Language: It isn't just stigma keeping elderly Asian immigrants from getting mental health care -- it's also the lack of facilities that understand their languages and cultures. 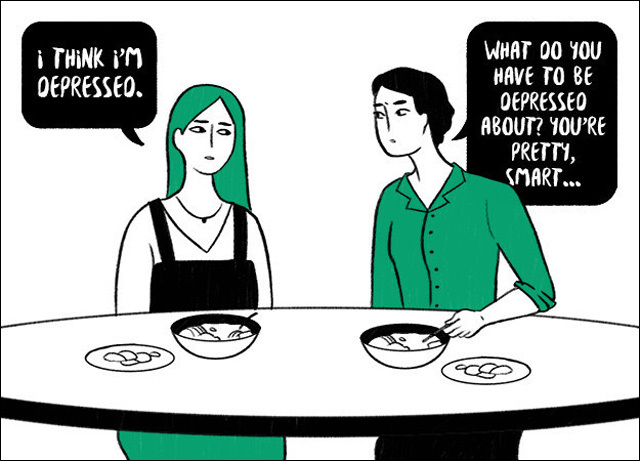 What It's Like Explaining Depression To Your Asian Parents: Many Asian parents tend to practice tough love — but that makes it so much harder for someone struggling with depression. 'Eat Up': How Cultural Messages Can Lead To Eating Disorders: Of the 30 million people in the U.S. with an eating disorder, over half are women. And while race and ethnicity factors into those numbers, racially and ethnically diverse communities don't have equal access to treatments. Learning Body Positivity From a 700-Year-Old Hindu Statue: In a sculpture of Parvati, the goddess of love, Sulagna Misra found a rare moment of recognition. For Some Filipino-Americans, Language Barriers Leave Culture Lost in Translation: What does it meant to be Filipino in America? For some Filipino Americans, language barriers complicate their identity. Episode 192: Pagodas and Dragon Gates: For Americans, the sight of pagoda roofs and dragon gates means that you are in Chinatown. Whether in San Francisco, New York, Los Angeles, or Las Vegas, the chinoiserie look is distinctive. But for those just arriving from China, the Chinatown aesthetic can feel surprisingly foreign. 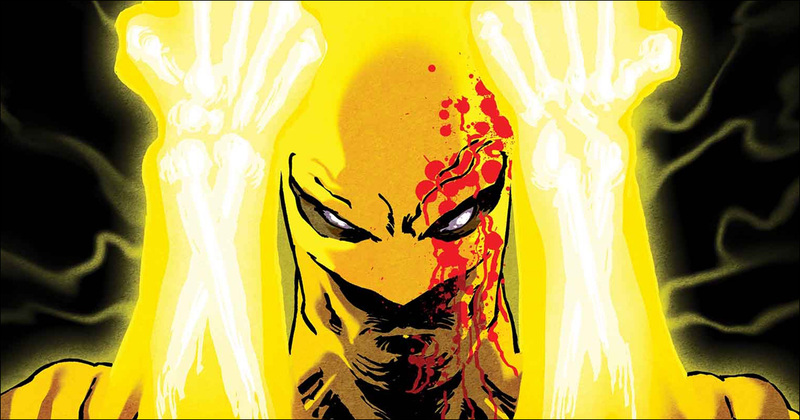 Why Marvel and Netflix Should Cast an Asian-American Iron Fist: The Hollywood Reporter jumps in on the movement urging Marvel to cast an Asian American lead for its upcoming Netflix Iron Fist series. If Daniel Henney Were Your Boyfriend: Have you ever fantasized about having Daniel Henney as your boyfriend? So have Nicole Chung and Karissa Chen. In 'Good Dinosaur,' Director Peter Sohn Helps An Herbivore Conquer His Fears: Peter Sohn, director of Pixar's The Good Dinosaur talks to NPR's Fresh Air about coming up with the ahistorical concept for the movie, choosing to pursue a career in art, and inspiring the character of Russell in Up. Superman Writer Gene Yang Guest-Writes on The History of Women Who Code: Happy Computer Science Education Week! 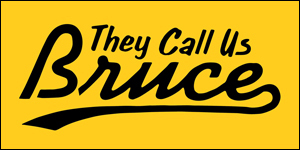 Comic book writer and illustrator Gene Luen Yang writes about the remarkable and not widely known history of women in programming. Fresh Off the Boat Actress Constance Wu Has An Answer For Everything: An interview with Fresh Off the Boat actress Constance Wu, on accepting the role, the burden of representation, and what’s next. Steven Yeun, 'Fresh Off the Boat's' Constance Wu & Randall Park Toast to More Asians on TV at the Unforgettable Awards: Saturday's 14th annual Unforgettable Awards, presented by Audrey Magazine and KoreAm Journal, recognized Asian talent in the media, spotlighting Fresh Off the Boat actors Randall Park and Constance Wu, Agents of S.H.I.E.L.D. 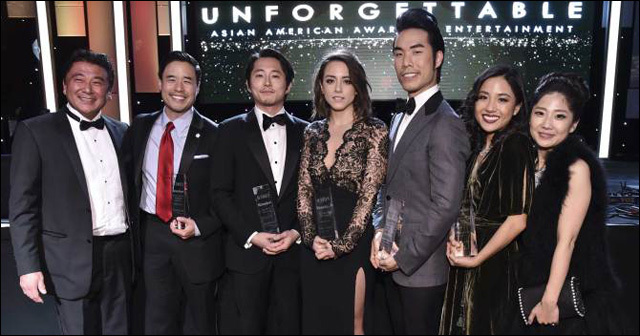 star Chloe Bennet, The Walking Dead vet Steven Yeun, CNN's Lisa Ling and web sensation Eugene Lee Yang. LA's Hidden Gem: Dumbfoundead Speaks On Battle Rap, Growing Up, and Finding His Place as an Asian Rapper in America: Noisey interviews Los Angeles Koreatown native Jonathan Park, aka Dumbfoundead -- one of the west coast's most prolific battle rappers. Meet The Sikh Rapper Looking To Change The World Through Hip-Hop: "I stand out because I know what I stand for," said Sukhdeep Singh, aka Sikh Australian rapper L-Fresh the Lion. What We've Learned From 11 Years of Post-It Art at Giant Robot: For eleven years, Giant Robot has showcased walls full of art on Post-it notes displayed all across their gallery.